Unless otherwise indicated, this content is licensed under a Creative Commons Attribution-NonCommercial-ShareAlike 4.0 International License. The Forth Bridge is one of the great icons of Scottish engineering and the greatest achievement of Sir William Arrol’s life. 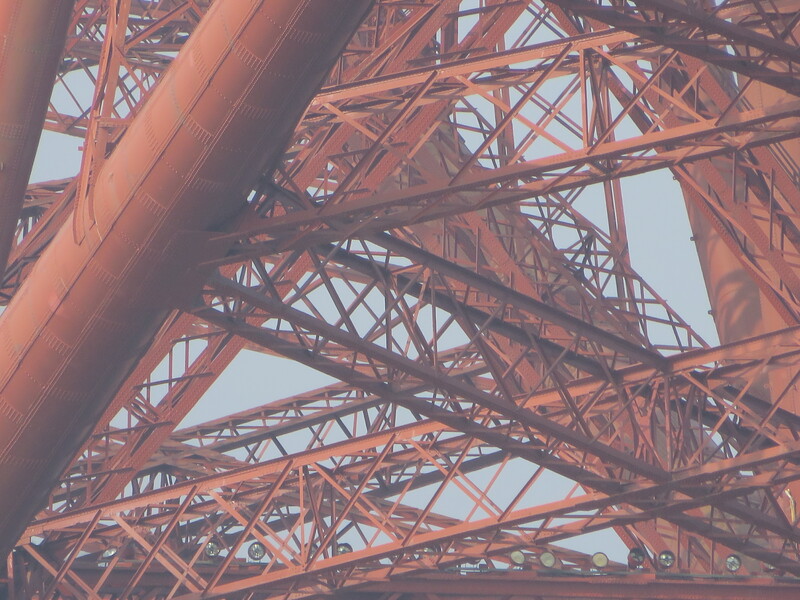 It’s massive steel structure, spanning the estuary of the River Forth from South Queensferry to North Queensferry in Fife, is famous throughout the world. It was built to provide the fastest route from London, up the east coast Edinburgh and on to the North of Scotland, and the most direct route possible meant spanning the two wide estuaries of the rivers Forth and Tay. Apart from having to build these bridges across large distances, these estuaries presented other major challenges to the bridge builder. The Queensferry site was chosen for the Forth Bridge as the small island of Inchgarvie would provide a solid rock base on which piers could be built. On either side of the island though, the water was fast flowing and up to 200ft deep, presenting problems in sinking the pier foundations. Also the two channels were busy with shipping and would have to be kept open to traffic during construction. Originally, a design by Thomas Bouch for a steel suspension bridge was chosen to be built and William Arrol was selected as the contractor to build it. Arrol started preparatory work on piers for the bridge in 1878 but this stopped following the Tay Bridge disaster in December 1879. The subsequent inquiry had indicated that Bouch’s poor design had contributed to the collapse of the Tay Bridge and another of his bridges, the South Esk Viaduct, had also been found to be unsafe. Having lost confidence in Bouch’s work, the Forth Bridge Company officially abandoned his bridge design in 1881 and looked for an alternative. 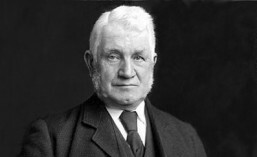 John Fowler and Benjamin Baker’s design for a steel cantilever bridge was chosen and the contract to build it was awarded to William Arrol & Company in December 1882. It was an ambitious project, the first structure of it’s size to be built of steel, and having the 2 longest spans of any cantilever bridge ever built. The main structure of the bridge consisted of 3 cantilever towers, each with 4 gigantic steel tubes, 343 ft high, supported on a masonry pier. The steel tubes of the great cantilever arms extended from the base and top of each cantilever tower forming a triangular shape and on either side of the central cantilever these were joined by a central girder. These cantilevers arms and towers were strengthened by numerous lateral and diagonal girders and tubes forming an intricate network of criss-crossing steelwork. Towards the south shore the cantilevers of the superstructure were met by viaduct of 10 spans and 4 arches supported on granite piers and from the north shore, an approach viaduct of 5 spans with 3 arches supported on granite piers. Running across the centre of the entire structure were lattice girders supporting a double line of rails with a footpath on either side. To ensure that there was a minimum height of 150 foot under the bridge at high water level, a gradient was built into the bridge to allow passage of ships in two main channels on either side of Inchgarvie Island. As a result, the full length of the completed bridge was 1.6 miles.